Most everything is under one roof. Phil Roberts photo. 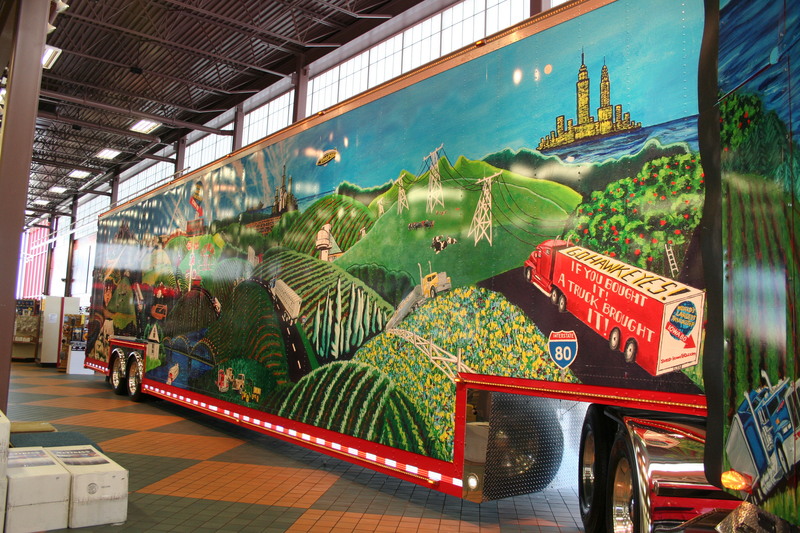 Beautiful trucks and trailers are displayed in the store. Phil Roberts photo. 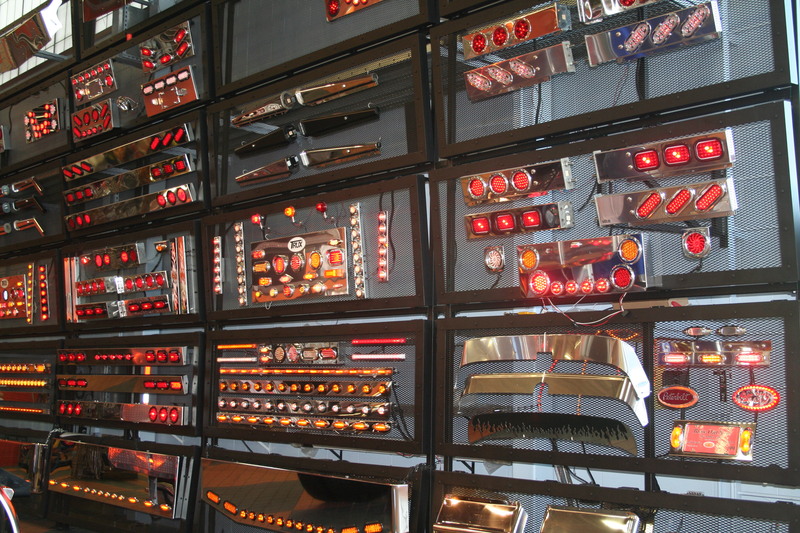 Not many stores have a wall of lights like this one. Phil Roberts photo. 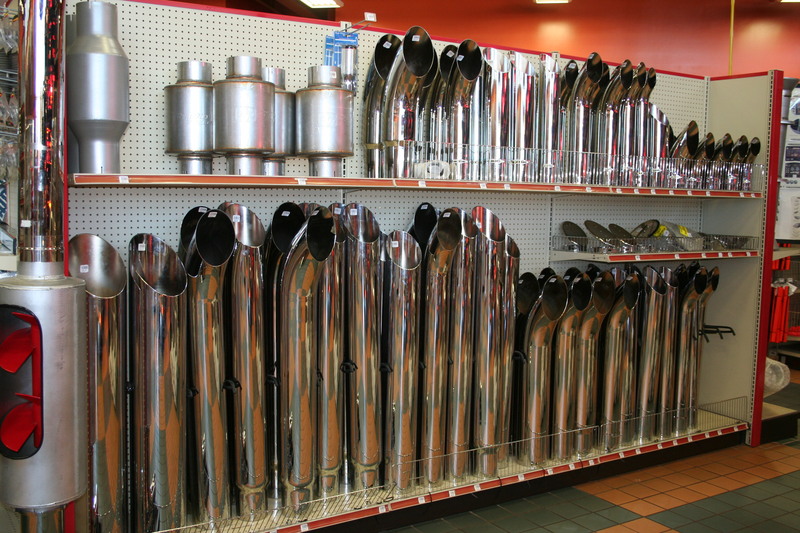 Chrome is king in the Iowa 80 store. Phil Roberts photo. The floor leaves no doubt where you've set foot. Phil Roberts photo. Iowa 80 Truckstop (iowa80truckstop.com) bills itself as the world’s largest truck stop. 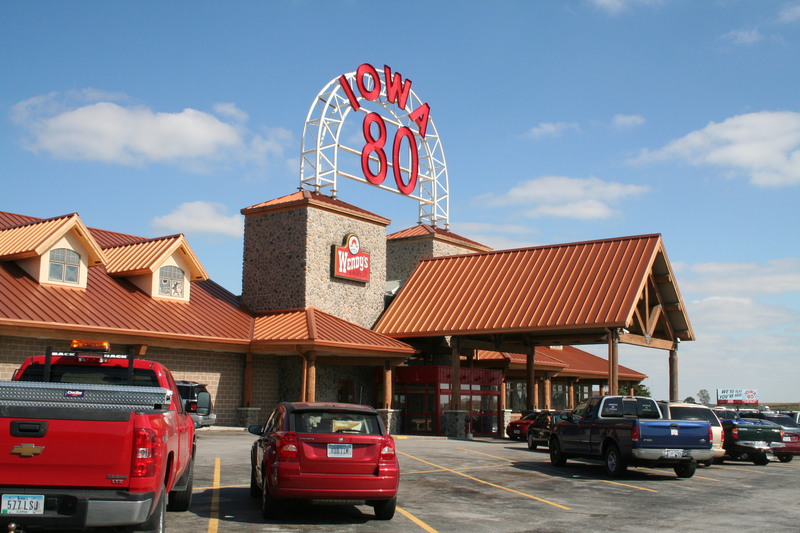 Located along Interstate 80 at the mile marker 284 interchange, Iowa 80 is, indeed, huge. It’s like a self-contained city within the city of Walcott, Iowa. 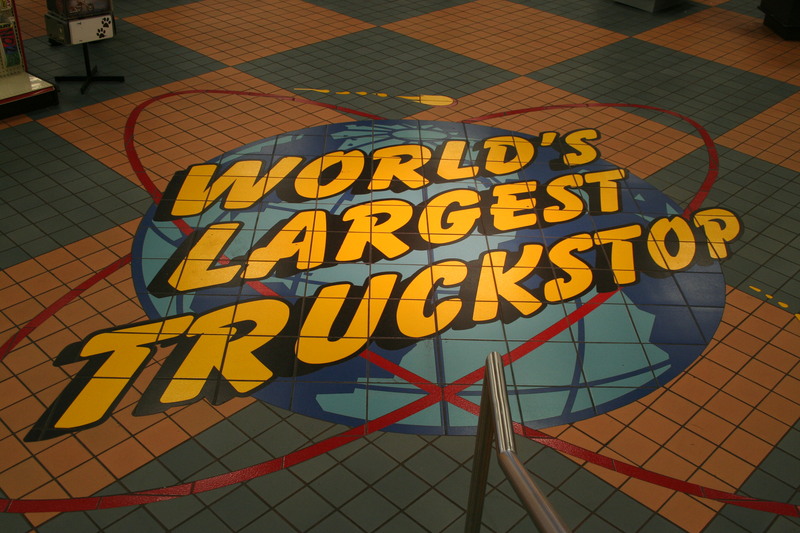 Truckers love the place for the Truckomat truck wash, CAT scale, game room, library, sleeping rooms, private showers, movie theater, washers and dryers, TV den, 24-hour service center and road service. But you don’t have to be a truck driver to find a reason to visit Iowa 80. The facility has fuel, restrooms, snacks, a food court, a restaurant and a 50,000-item store whose highlights are gifts and chrome items. There are Sunday church services; a Dogomat pet wash; an embroidery, vinyl and laser engraving service; a Verizon kiosk; ATMs; UPS/ FedEx drop boxes; a fax/copy service; a mailbox; Western Union service; and pay phones. Oh, yes, there’s even a barber, dentist and chiropractor! Since 1979, Iowa 80 has paid tribute to truckers two days each July at its free Walcott Truckers Jamboree. And you’ll find a huge collection of antique trucks year round right next door at the Iowa 80 Trucking Museum. Perhaps the best part about Iowa 80 Truckstop is that it never closes. Copyright 2011 by Phil Roberts, Creative Enterprises. This piece and the photos above were submitted as an attraction review to tripadvisor.com.